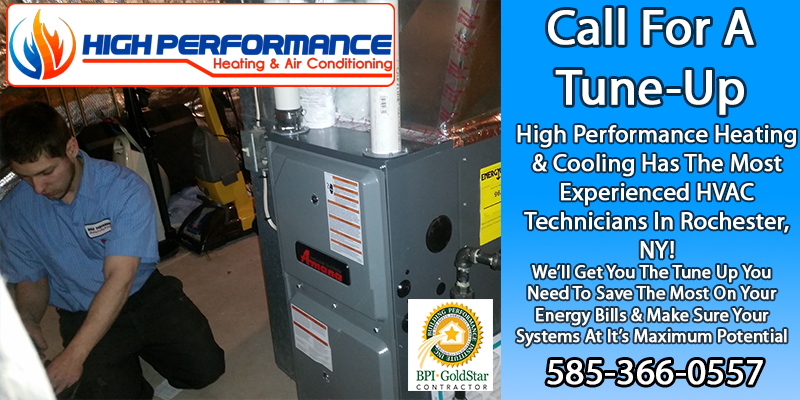 Furnace Installation ExpertsExperience why High Performance Is more than just a name, but a promise. 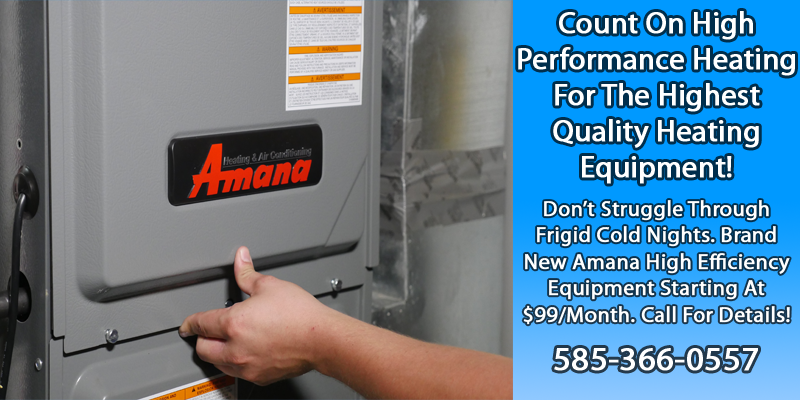 We support several name brands of heating equipment, such as Amana and Goodman. When we install heating equipment such as your furnace, we inform you of our plan of procedure and make sure you approve of our intentions before we begin the installation process. We also offer a free estimate for your furnace installation needs. Our Furnace installations come with a full 1 year warranty on labor and we honor all manufacturers warranties for your furnace installation. No job is to much for our installation technicians, with daily training they are ready to tackle even the most difficult projects. If you experience an issue, we’ll repair your heating or cooling equipment promptly and efficiently to prevent the same problem from reoccurring. We come at your call no matter the time of day. Over the years, we’ve seen many do-it-yourself catastrophes or other temporary fixes on equipment; we know how to correct the problem the right way and undo makeshift mistakes. No more duct tape! We provide maintenance programs for each piece of heating equipment we install and support. We’ll arrive at your house to inspect your heating equipment and make sure it’s operating the way it should. This way you don’t have to worry about a thing; we’ll take care of even the minor details so that you can sit back in comfort! Don’t get left out in the cold this winter, replace your old Furnace. Uneven temperatures and large amounts of furnace repairs are just a few of the unfortunate outcomes caused by an inefficient, aging furnace. Your home’s heating system is supposed to keep you and your family warm and cozy all winter long. If you find yourself in constant need of Furnace repairs, it may be time to consider a replacement. 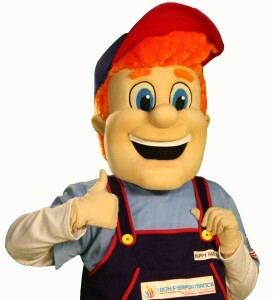 Knowing whether to repair or replace your Furnace system is an important decision that requires professional expertise. Let our team of HVAC Professionals take the worry and stress out of this decision by having a qualified technician clearly and carefully explain to you all of your options, including current operating costs and return-on-investment for your new equipment. Our Promise is to work to restore comfort and warmth back to your home as quickly and efficiently as possible by guaranteeing a fast and efficient Furnace system installation. If not properly installed, even the best, most efficient home heating systems can break down and raise your energy bills. Improper installations can raise energy use over 30% of its manufacturer claims. At High Performance, we pride ourselves in the quality of the workmanship we perform. Our technicians are fully trained, highly qualified, and extremely capable of satisfying even the most challenging needs. We take the time to do the job right the first time and ensure your HVAC systems, dehumidifiers, air purifiers, and maintenance programs are all of the highest quality before we consider our job complete. We strive to keep you comfortable, your HVAC systems working smoothly, and your energy bills low. We provide a complete High Performance Installation of furnaces, taking the head aches associated with big jobs and turning them into peace of mind. Our installation technicians have the most comprehensive training all throughout western NY. Unlike other contractors, we take pride in our values, we don’t cut corners or work with cheap materials. We also have a complete line of HVAC accessories, from dehumidifiers to air purification filters with allergy fighting attachments that can be installed with your new furnace so that you can further enjoy the comfort of your home.